Therefore, the Pumpkin yeast bread recipe adapted from King Arthur Flour. • Stir yeast into water to soften. Add milk, eggs, pumpkin puree, oil, 4 cups flour, brown sugar,salt, ginger and cardamom to yeast mixture. Beat for 2 minutes. •Gradually add remaining flour, a little at a time, until you have dough stiff enough to knead. Turn dough out onto a floured surface. Knead, adding flour as necessary, until you have a smooth, elastic dough. •Put dough into an oiled bowl. Turn once to coat entire ball of dough with oil. Cover with a towel and let it rise until doubled, that would take about an hour. •Turn dough out onto a lightly oiled work surface. Divide dough in half. 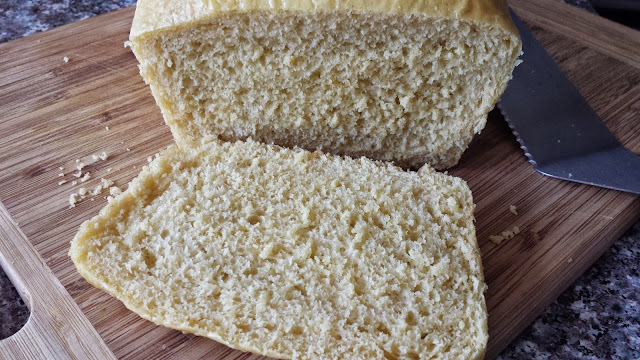 Shape dough into a loaf and place in a well-greased pan. Cover with a towel and let rise until almost doubled, about 45 minutes. •Bake in a preheated 375°F oven. Loaves bake about 30 minutes. •Immediately remove bread from pans and cool on a wire rack to prevent crust from becoming soggy. For a shiny crust, brush tops of bread or rolls lightly with vegetable oil. Makes 2 large loaves, or 1 large loaf and 12 dinner rolls.Thank you Tamy & Swathi for this lovely challenge. 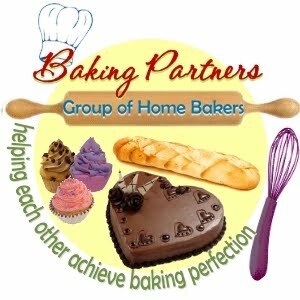 Linking this post to The Baking Partners Challenge. It looks moist and lovely.